Note: This version of ProFile Planner comes pre-loaded with the units from Learn Every Day™: The Program for Infants, Toddlers and Twos and a digital content library of online resources including activities, apps, books, music, and videos. These kits are supplementary for the Learn Every Day™ curriculum. Most of the activities in the curriculum were designed to use items commonly found in a typical preschool classroom. These skill kits were designed to support teachers who may not have the necessary manipulatives typically found in an early childhood classroom and to support programs that are just getting started and need to stock a preschool classroom. 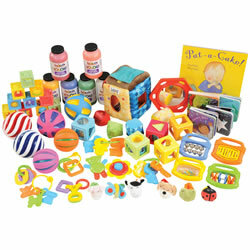 Encourage exploration and discovery with this infant kit. Designed to support the brain-based principles of "Learn Every Day™ : The Program for Infants", this kit is full of multi-sensory materials that will support infants as they grow and develop. Planned with toddlers and twos in mind, this kit was designed to support their growth, development, social skills and communication. 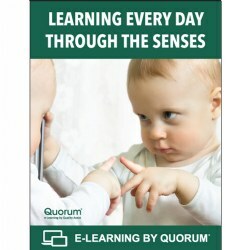 Using the brain-based principles of "Learn Every Day™ : The Program for Toddlers and Twos", this kit will support multi-sensory learning for all the toddlers and twos in your care. 200 quick fixes for everything from big messes to small budgets, from clean up solutions to storage ideas to help with cost saving strategies, and everything in between. Solve everyday problems, giving you more time to teach and enjoy the children in your classroom. 160 pages. Now more than ever, adults must help children develop the skills necessary to navigate through life successfully. By focusing on building social and emotional strength, we increase children's resilience and prepare them to handle the challenges in life. The strategies and activities in "Socially Strong, Emotionally Secure" help children become socially and emotionally healthy for life. Organized into five chapters, the activities support and build resilience in children ages 3 to 8. 160 pages. Paperback. 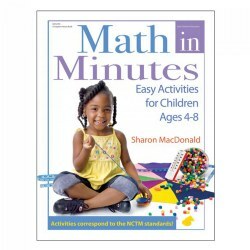 This resource book is full of attention-grabbing, creative activities that provide children with an outlet for wiggles, while giving their brain a jumpstart with cross-lateral movement games. Includes songs, games, and finger plays for anytime of the day. Paperback. 208 pages. Our Education Consultants are dedicated to providing high-quality training on Learn Every Day™: The Program for Infants, Toddlers, and Twos. If you require on-site training for implementing Learn Every Day into your program, please contact us at 1-800-334-2014, ext. 3252 for a customized quote. Half-day and full-day training options are available. Online professional development is available for Learn Every Day through our partnership with Quorum. Two toddlers sit together enjoying a picture book, while three infants are busy pouring water into a sand and water table. Across the room a caregiver sings softly while gently rocking an infant to sleep. Quality programs include activities that engage infants and toddlers in brain based activities and reflect a philosophy of inclusion for all infants and toddlers. By the time a child is 36 months old, she will have gone through three distinct stages: young infant, mobile infant, and toddler. Infant spaces should be home-like in nature. In other words, there are comfortable and stimulating places to learn, explore, and develop. It is also critically important that the care provider makes every effort to provide a welcoming and interactive environment for infants and their families. In addition, care providers should strive to create a bond with every baby that will make her feel loved, safe, and secure, in her new environment. Most professionals avoid the word curriculum when speaking about infants, because a quality infant program is based on allowing infants to follow their own schedules. Developmentally appropriate infant schedules are individualized because each child has a unique internal clock. While there must be times during each day to eat, sleep, and play, those times will vary. A quality infant-toddler program meets the individual emotional, physical, and social needs of each child. Cognitive and physical development is stimulated through interaction with others and by exploring developmentally appropriate objects in the environment while social and emotional development is encouraged through interaction with caring, responsive adults. With that in mind, let's examine the components of a quality program for infants and toddlers. Social and emotional skills develop through intentional, nurturing caregiving in the early years. The sooner we infuse caregiving practices that grow and enhance these skills, the better chance we have of helping infants, toddlers, and their families develop resilience, an important component of social/emotional development because which involves the capacity to cope with changes and challenges. A hug, a snuggle, or sometimes just a pat on the back helps him feel secure, which in turn encourages him to trust people and explore relationships with others. This exploration and the subsequent development of relationships with others lead to his overall emotional development. Emotional development refers to how a child feels about himself, the people in his life, and the environment in which he plays and lives. This develops through consistently positive interactions with his caregivers and his family. When an infant or a toddler is consistently and gently comforted by his caregiver, he learns that he is important and that his emotions are valid. Long before infants say their first words, they are busy learning to communicate with others in a variety of ways. For example, because infants are social by nature, they will gaze into the eyes of a caregiver, and will recognize the faces of the people they see most often. They constantly listen to the sounds around them, and quickly learn that by reaching out to interact, they will get the attention of adults. For this reason, it is critically important that adults respond consistently to a child's cries, as this reinforces her understanding of how to gain the attention of others. Soon, an infant begins to make cooing noises as she experiments with the sounds she can make. Before long, the infant is beginning to put syllables together, such as da-da-da or ba-ba-ba. Infants also use non-verbal communication such as pointing to an object. By pointing, perhaps she is communicating that she wants you to give her something, or maybe she is trying to tell you that she likes the way that object looks or feels. By 18 months of age, a child will have approximately 20 to 30 words in his vocabulary and may attempt to vocalize to music. Eventually, this leads to the child's knowing and using his own name, along with constant self-talk and subsequent attempts to communicate using two-word phrases. In addition, most toddlers this age use and understand the word no frequently. At two years of age, a child is expected to have at least 50 words in his vocabulary and to be using two and three-word phrases. Between 24 and 36 months, if language development is progressing well, an explosion of new words will occur. The child's vocabulary should exceed 300 words, and he will be asking questions. Respond to the infant's vocalizations, as this helps to form an understanding of reciprocity and turn-taking sequences with adults. Play games that encourage using language and sounds. Read, read, read! It is the most important thing an adult can do to build communication and cognitive skills in young children. Infants and toddlers are naturally curious, and they have special ways of learning about the world and exploring their environment. Appropriate early experiences provide the base for knowing and understanding their world, and offer experiences that shape their early development. It is essential to design environments that match infants' and toddlers' ways of learning, and to allow them to influence the process. When designing learning spaces for infants organize items and materials together in one place. These learning spaces can be set up in the classroom, or they can be placed in colorful tubs and moved in and out of the area. Carefully selected toys, materials, and props should be responsive to infants and encourage them to influence their environment. In these learning areas, they will be able to see items, play with them, and continue to use them as long as they are interested. This method of organization enables the teacher to develop a classroom community that is both appropriate and interesting for infants. It also ensures that objects, movement, and experiences are included that positively affect all areas of development: cognitive, language, social-emotional, and motor. Do you see what I see? : Toys, books and materials that encourage the infant to visually explore, such as colorful board books, pictures of family members and of an infant-friendly mirror at floor level. Listen: Materials that make noise such as rattlers and bells. Read to me: Lots of board books with colorful pictures. Read to infants often! Home Living: Add child-size furniture, plastic food, a table and chairs and some play pots and pans to encourage young children to explore. Don't forget to include a few multi-cultural dolls and a child-sized 'cooking utensils'. By Myself: A quiet place where a child can go to relax. Furnish this center with soft pillows, soft music and indirect lighting if possible. Music: Put out some musical cymbals, bells, and other appropriate 'noise makers' and encourage children to play music. Also include opportunities to hear music with many different beats and from various cultures. Dramatic Play: Find hats of all varieties, appropriate dress-up clothes and colorful scarves. Encourage children to dress-up, put on some music and have a parade in your classroom. Music is a universal language and singing builds brain connections and enhances learning. What's even more important is that children don't care if you can sing or not-- they enjoy it anyway! Introduce infants and toddlers to all types of music from soft lullabies to reggae. Even infants enjoy being held in your arms while you sway, dance, or bounce to a beat. Don't be afraid to experiment with music, and while there is plenty of children's music available for download, young children also enjoy the opportunity to sing along with you. Encourage toddlers and mobile infants to cross the midline of their bodies with their hands while they dance; you are not only building brain cells through music you are also building them through movement. Daily reports designed to provide families with written documentation of each infant's feeding, diapering, and exploration time-keeps the family connected and involved in the child's daily routine. Build rapport with families by communicating often and by providing opportunities for them to be involved in activities at school. Ongoing assessments, such as portfolios and documentation panels, provide multiple opportunities for authentic assessment and progress monitoring and they provide additional opportunities for families to learn more about what their infant or toddler is learning every day. 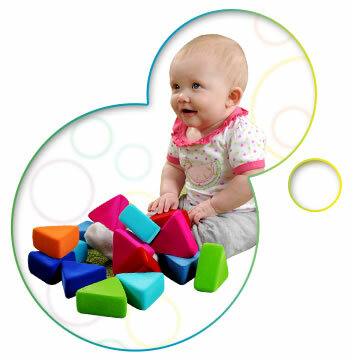 Make sure that attractive, attention-getting elements are part of the infant and toddler playtime environment. Provide toys such as unbreakable mirrors, blocks, and items of different textures. Play is the primary way that infants learn how to communicate, move, socialize, and understand the world in which they live. Play impacts all aspects of learning, brain development and growth. It builds motor skills, develops communication, and encourages social emotional growth. So be sure to provide opportunities for infants and toddlers to play, and don't forget to join in the fun. Enjoying playful moments with young children can be just as beneficial for adults as well as for children. Carione, Karen & Bruce, Nefertiti. (2011). 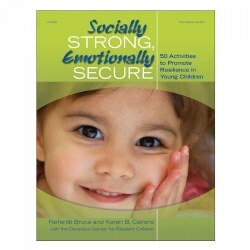 Socially Strong Emotionally Secure (50 Activities to Promote Resilience in Young Children). Lewisville, NC: Gryphon House, Inc.
Isbell, Rebecca & Isbell, Christy. (2003). Complete Learning Spaces Book for Infants and Toddlers. Beltsville, MD: Gryphon House, Inc.
Johnson, John A. (2010). Babies in the Rain Promoting Play, Exploration, and Discovery with Infants and Toddlers. St. Paul, MN: Redleaf Press. Karnopp, Jennifer. (2011). Focus on Toddlers: How-tos and What-to-Dos when Caring for Toddlers and Twos. Lewisville, NC: Gryphon House Publishing, Inc.
Kohl, Mary A. (2012). First Art For Toddlers and Twos Open Ended Experiences (Revised). Lewisville, NC: Gryphon House, Inc.
Schiller, Pam. (2012). Start Smart: Building Brain Power in the Early Years, Revised. Lewisville, NC: Gryphon House, Inc.
Silberg, Jackie. (2008). Baby Smarts. Beltsville, MD: Gryphon House, Inc.
Willis, C. (2009). Teaching Infants and Twos with Special Needs. Beltsville, MD: Gryphon House, Inc.
Clarissa Willis, PhD is an Associate Professor of Teacher Education at the University of Southern Indiana. Her publications include the award winning books Teaching Young Children with Autism Spectrum Disorder, My Child has Autism, and Teaching Infants Toddlers and Twos with Special Needs (Gryphon House). 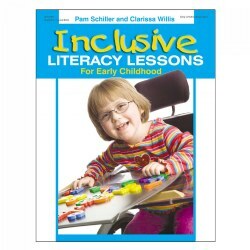 She co-authored Inclusive Literacy Lessons with Dr. Pam Schiller. She is also the author of Inclusive Environments for Young Children-What to do on Monday Morning! (Corwin Press). Her articles have appeared in journals such as Young Children, Childcare Information Exchange, and Dimensions of Early Childhood and Teaching Exceptional Children. In 2012, Clarissa was senior author of the new comprehensive curriculum Learn Every Day. 1. Why do you refer to this as a Program not a Curriculum? Most professionals avoid the word curriculum when speaking about infants, because a quality infant program is based on allowing infants to follow their own schedules. 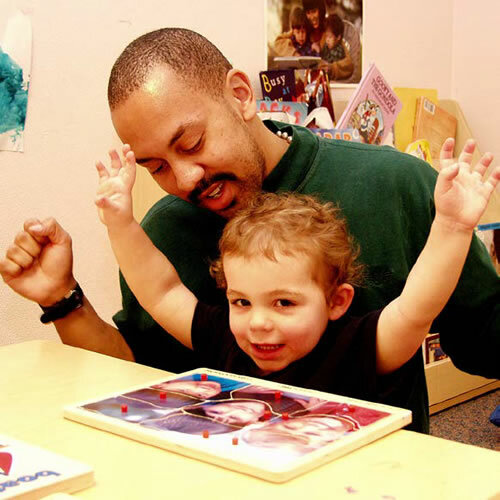 Developmentally appropriate infant schedules are individualized and recognize that each child has a unique internal clock. While there must be times during each day to eat, sleep, and play, those times will vary. 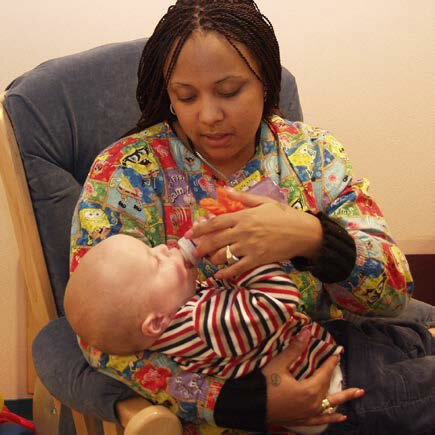 A quality infant program meets the individual emotional, physical, and social needs of each infant. 2. Is this program appropriate for mix aged group settings? Yes, because the program groups activities by domain. A teacher can be working on one domain, but using several different activities based on each child's needs. Mixed-age grouping is how children are naturally grouped in families, and it has many advantages. It can be less stressful for children than same-age grouping because it honors their individual differences. Caregivers naturally expect children of different ages to have different abilities and interests. 3. Can this program be implemented in a half-day program? This program can be implemented in a half-day program, a full-day program, or by a home visitor. Because the activities are grouped by domain, the program lends itself to the flexibility of various schedules. Since multiple activities are provided for each domain, as well as each age group, there are multiple ways to use the program. 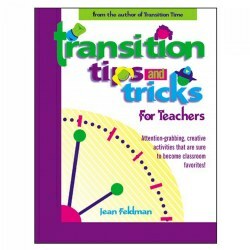 The authors intentionally provided many different types of activities because all children grow and develop differently. 4. What type of training will the caregivers need to implement this program? While training on any program is always helpful, this program requires no formalized training. The basics of how to use the program and how to set up the environment for all types of learners are provided in the book Building Strong Foundations for Infants, Toddlers and Twos, which is part of this program. 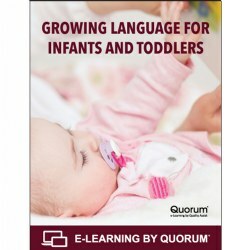 Two online supplementary courses are also available: Learning Every Day through The Senses for Infants, Toddlers and Twos and Growing Language for Infants and Toddlers. Kaplan's dedicated early childhood specialists are also happy to design in-person implementation training for your center. Contact us for more details at www.Kaplanco.com/training or 1-800-334-2014, ext. 3252. 5. What is the philosophy / research foundation? Learn Every Day™ - The program for Infants, Toddlers and Twos is a comprehensive play-based program with the goal of building meaningful interactions. The philosophy and research foundation for this program comes from many different sources and includes contributions by some of the top experts in the country. 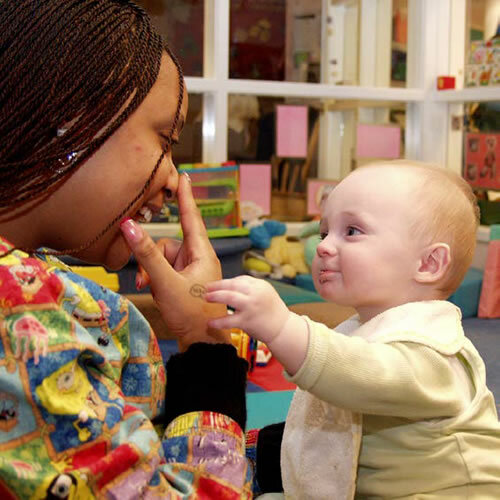 The program is based in part on the best-selling book Infant-Toddler Planning Guide, written by Chapel Hill Training-Outreach Project, and on the work of the North Carolina Infant and Toddler Early Learning Guidelines Task Force and its subsequent publication, Infant-Toddler Foundations: Guidelines for Development and Learning for North Carolina's Infants and Toddlers (Birth to 36 Months). 6. Is a home visitor able to use this program? This program is ideal for home visitors and early interventionists because most of the activities in both Volume1 and Volume 2 are designed to be used with one or more children. Therefore, it is easy for a home visitor to select a domain on which she wishes to focus and then find many activities to support growth and development in that domain. For example, in Volume 1 of Learn Every Day™: The Program for Infants, the section entitled Activities to Build Gross and Fine Motor Skills contains over 40 different activities. 7. Does this program have parent Involvement activities? Since most of the activities in Volume 1, Learn Every Day™: the Program for Infants and Volume 2, Learn Every Day™: the Program for Toddlers and Twos are designed to be completed with one or more children, the activities can easily be completed at home. Many teachers send home suggestions and copies of the activities so parents can continue to work with their children on the activities learned at school. In addition, the Learn Every Day: Building Strong Foundations for Infants, Toddlers, and Twos book, which is included with the program, contains information about family engagement. 8. Does the program contain an assessment? 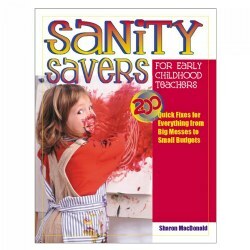 The authors feel strongly that assessments for infants, toddlers, and twos should be authentic; therefore, to gain a clear picture of a child's abilities, any assessments you choose should include the following aspects: be ongoing, be closely related to your daily program, be used in a child's natural play environment, and measure developmentally appropriate skills. By observing young children in all relevant domains, and accounting for different learning styles, assessments are authentic. The authors also feel that the family is an important source of information. Examples of assessments often used with infants and toddlers include portfolios and documentation panels. Complete information about planning authentic assessments for infants, toddler,s and twos can be found in Learn Every Day™: Building Strong Foundations for Infants, Toddlers and Twos, in the chapter entitled, "Best Practices for Assessment for Infants, Toddlers, and Twos."? In addition, Appendix B in Learn Every Day: Building Strong Foundations for Infants, Toddlers, and Twos contains assessment forms that can be used with the program. Kaplan is proud to offer two formal assessments that can be used with Learn Every Day™: The Program for Infants and Toddlers: E-LAP and DECA I/T. The Early Learning Accomplishment Profile (E-LAP) is a criterion-referenced assessment for children functioning at the birth to 36 month range. The Devereux Early Childhood Assessment for Infants and Toddlers (DECA I/T) is a normed-referenced assessment and strategy guide which focuses on the social-emotional health of children ages 4 weeks to 36 months. 9. Is this program aligned to standards? While there are currently no national standards for programs serving infants, toddlers, and twos, many states have developed their own standards, for which we have developed alignments. Learn Every Day™: The Program for Infants, Toddlers, and Twos has been aligned to Early Head Start School Readiness Goals, along with correlations and Classroom lists for other quality initiatives, such as the Environment Rating Scales (ITERS-r). You can find these alignments on our website at under the "Alignments" tab above. We are currently updating our alignments on a by-request basis - if you do not see your state alignment listed, please let us know! Email us at training@Kaplanco.com. 10. There are many materials listed - do I have to purchase everything? This program was written to help teachers utilize materials and resources found in most settings serving infants, toddlers, and twos. Most of the activities in the program were designed to use items commonly found in a typical infant and/or toddler setting. 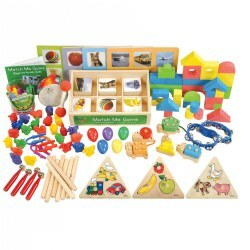 The associated skill kits were designed to support teachers who may not have the necessary manipulatives typically found in settings serving infants and toddlers, as well as to support programs that are just getting started and need to develop an infant or toddler classroom. 11. Do I need to buy the skill kits in order to use effectively? The Learn Every Day™ Infant Activity Kit and the Learn Every Day™ Toddler Activity Kit are supplementary kits for the Learn Every Day™: The Program for Infants, Toddlers, and Twos. Most of the activities in the program were designed to use items commonly found in a typical infant and/or toddler setting. These skill kits were designed to support teachers who may not have the necessary manipulatives typically found in settings serving infants and toddlers, and to support programs that are just getting started and need to develop an infant or toddler classroom. 12. 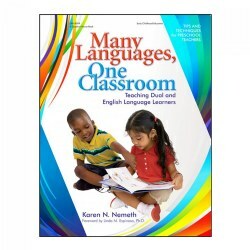 Are there any additional resource books that teachers can use to learn more about the concepts presented in this program? 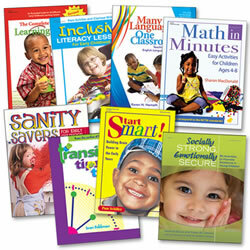 Kaplan offers many teacher resource books related to quality programs for infants, toddlers, and twos. The authors have compiled a few of their favorites in a special Learn Every Day:™ Infants, Toddlers, and Twos Teacher Resource Library (#28910). This supplemental set of resource books are suggested quality supports for any facility serving infants, toddlers, and twos. 13. Does the program support with the indicators of ITERS and CLASS? Yes, both assessments deal with quality environments and responsive caregiving in the context of developmentally appropriate practices. The CLASS specifically addresses facilitation of learning and development, and this program groups activities within the context of domains, which in and of themselves have been identified as key domains for the development of infants, toddlers, and twos. The ITERS is more of a snapshot image of the materials, equipment, and environment, effecting quality. Appendix A in Learn Every Day™: Building Strong Foundations (included with the program) is devoted to a comprehensive list of developmental domains for infants, toddlers, and twos, with additional strategies and suggested materials and placement in the environment. 14. Does this program address children with special needs and/or developmental delays? All children learn at their own pace, and they all have strengths and weaknesses; as such, the program is infused with activities and information about serving infants, toddlers, and twos with special needs. Comprehensive information can be found in Part 3 (Infants, Toddlers, and Twos with Diverse Needs) of Learn Every Day™: Building Strong Foundations for Infants, Toddlers, and Twos. In addition, both Volumes 1 and 2 contain information about working with infants, toddlers, and twos with developmental delays. Information about adapting the environment can also be found in each volume.